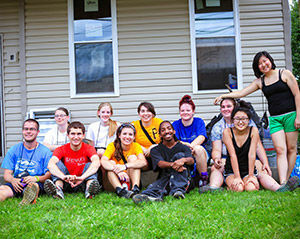 Pittsburgh Theological Seminary | Miller Summer Youth Institute: On The Road! Miller Summer Youth Institute: On The Road! 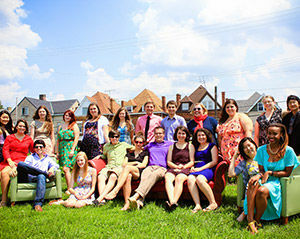 The Miller Summer Youth Institute is celebrating our 20th summer of ministry to youth! Since 1997 more than 450 high school juniors and seniors have attended our two-week program in July. The goal of SYI can be simply summarized with two questions: “Who is God calling me to be?” and “What is God calling me to do?” We explore these two questions by engaging the students with serious theological, biblical, historical and ethical studies. SYI on the Road- programs designed to make SYI accessible to local congregations. This will include retreats onsite at local churches, Sunday school classes taught by PTS faculty, and youth group led by SYI staff onsite at local churches. SYI online- SYI will make its outstanding programming available for church pastors and youth directors to use online. We will have Sunday school classes, curriculum and resources for training volunteers available online. SYI for college credit- SYI is launching a pilot program to offer the same outstanding theological and vocational training for youth for 1-3 college credits. We are working with a local Christian university to partner for the summer of 2017.Our hope is that this model can be replicated around the country. We hope you will consider partnering with SYI by making a gift in support of our new initiatives. An anonymous donor pledged $20,000 if we are able to raise an equal amount in the month of June. With your help we can continue to mentor young adults as they share the love of Jesus Christ with their co-workers, neighbors, friends and families. Your gift of $20 provides a day of meals for a Miller SYI college credit participant. Your gift of $50 will pay for one student's housing for a night at PTS. Your gift of $100 will buy all of the books one high school student needs to attend Miller SYI for college credit. Your gift of $150 sponsors a guest speaker at a local Miller SYI event. Your gift of $500 sends the Miller SYI to a youth group in the Pittsburgh region for a full six week program. Your gift of $1,000 substantially underwrites the cost of sending a Pittsburgh Seminary faculty member to a church youth group in another part of the country. Your gift of $3,000 fully funds a distance satellite of the Miller SYI Program for one year.